Outside some of the obvious reasons – providing a lower cost and an often-times healthier option than red meat – we found 10 key statistics that helped demonstrate why chicken is truly king. Want a top chicken franchise in your store? Fill the form out below! #1 Chicken is the #1 protein consumed in America. In fact, Americans consume more chicken than anyone else in the world – more than 92 pounds per capita in 2017. #2 Chicken consumption per capita has increased nearly every year since the mid 1960’s, while red meat consumption has steadily declined (by about one-third since the 1970’s). #3 In 2016, the chicken sector surpassed the burger sector as the No. 1 category in the fast food business by purchase consideration. #4 Chicken production requires about seven times less land and emits seven times less greenhouse gases as beef per gram of protein. #5 As of 2017, over 280,000 workers were directly employed by the chicken industry, with over 1 million workers indirectly employed. #6 According to the US Department of Agriculture, global production of chicken is expected to rise 2 percent to a record 19.7 million tons in 2019, supported by growth in domestic and foreign demand. U.S. exports will also rise 3 percent to over 3.2 million tons. #7 4 of the 10 fastest growing U.S. QSR chains serve chicken. Even more, chicken sales at quick-service and fast casual restaurants jumped 42.1% from 2011 to 2016. #8 In terms of menu diversification, fast food restaurants saw a 12 percent jump in menu items including chicken from 2009 and 2012. #9 According to a national chicken council survey, 29% of consumers anticipate eating more chicken from the supermarket and 19% anticipate eating more from a food service establishment. #10 Over the past five years, the Fast Food Chicken Franchises industry has grown by 7.0% to reach revenue of $29 billion in 2018. Ready to get started in the chicken business? Don’t miss out on being part of this ever-growing $29 billion industry. Take our free Profitability Assessment to learn how you can take action right now in your c-store or g-store to implement a successful chicken foodservice program. We dedicate ourselves to offering you the highest-quality food regardless of what program you choose. With multiple chicken foodservice options, there’s a program or franchise that gives you the support or flexibility you need. 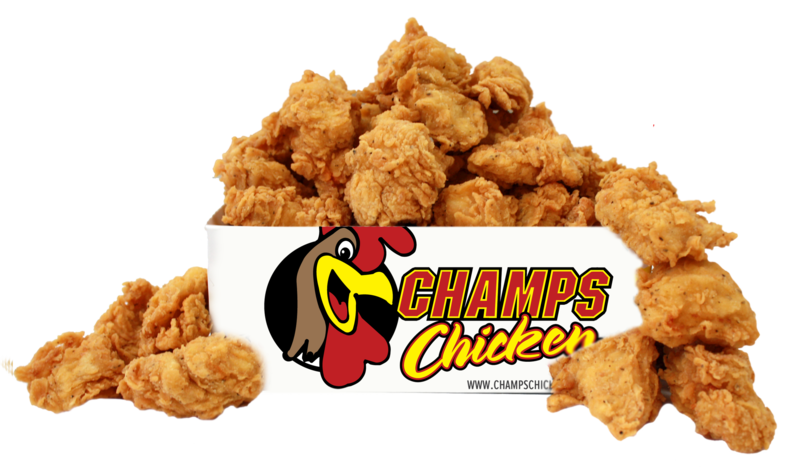 Our flagship chicken franchise, Champs Chicken offers great products for medium-to-high foot traffic locations. If your customers are looking for a robust flavor profile and you want more support, this is the brand for you. Cooper’s Express fried chicken has a kicked-up flavor profile. 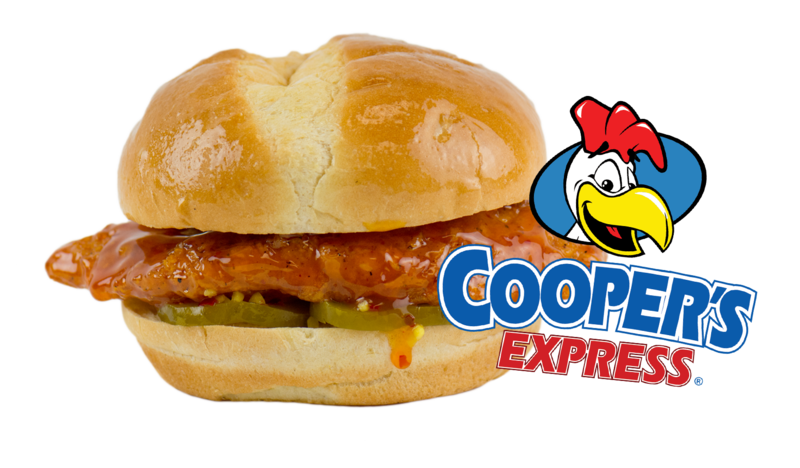 Cooper’s Express is great for locations with low-to-medium foot traffic with a simple supply agreement.